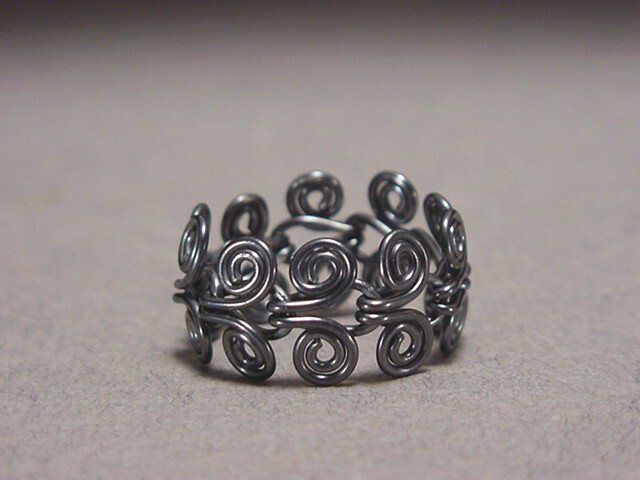 Flexible sterling silver bands conform comfortably to the finger. Oxidized shiny black finish. See also matching Bracelet and Necklace.